The striking blade shape of this sabre was copied extensively at the time. Hussars were an elite light cavalry coming from Serbia. 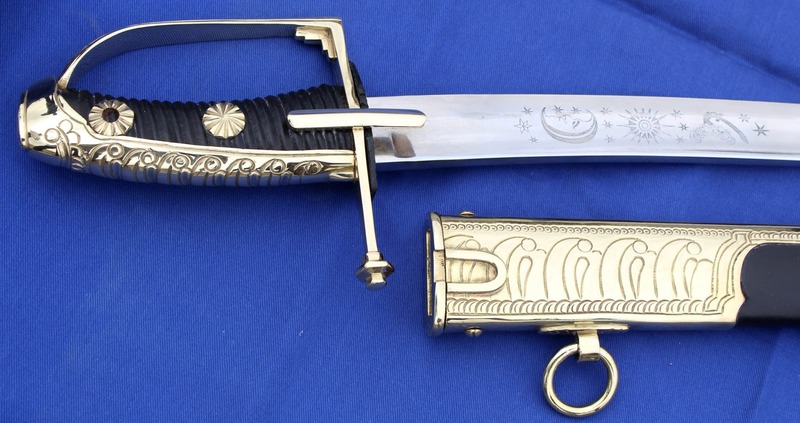 This sabre was the sane as one used by the Hussar General Andreas Graf Hadik. With 5000 men he made a successful charge on Berlin during the seven years war. The script on the blade reflects his title of Marechal that was conferred on him then by the Hasburgs. 1055 high carbon steel blade 84cm. Comes with a highly decorated scabbard befitting a high ranking officer.